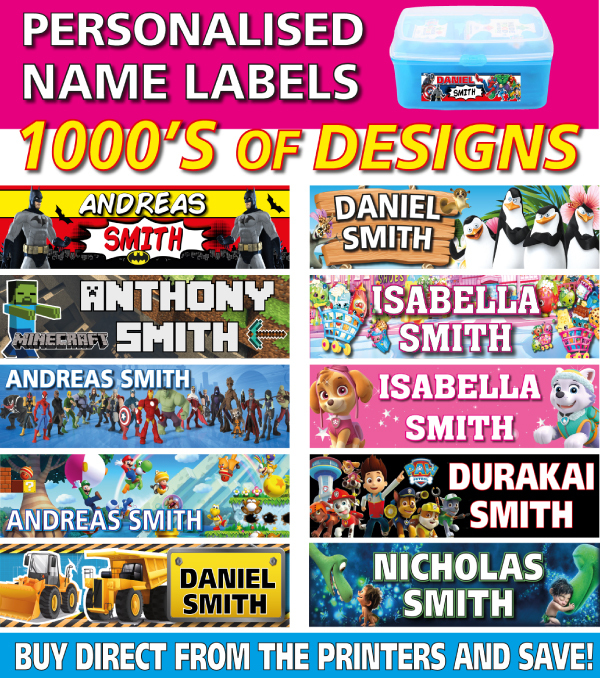 Protect your child's belongings with personalised Name Label Stickers. Personalised Name Label Stickers will help your kid's belongings find their way home. Just peel & stick, save your time on hand-writing any name labels for your kid's belongings! Contact us NOW as we have 1000's of designs. Great service and fast delivery. Will be telling all my friends about your site. Thank you for the free wall sticker as well. My daughter loves paw patrol. Just loved your Labels for my sons school stuff. Excellent quality. Thank you for the free wall sticker and all your help. Click the button below to add the Personalised Kids Vinyl Name Labels - Drink Bottles Lunchbox School to your wish list.